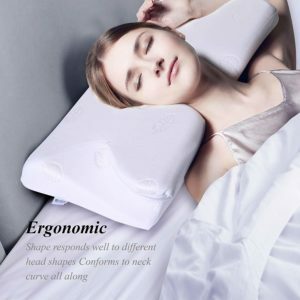 Sleep comprises one-third of a person’s life, using an optimal pillow for appropriate neck support to maintain cervical curve may contribute to improve quality of sleep. A 2014 study showed that pillow shape and content plays a crucial role in cervical curve, pillow temperature, and pillow comfort. A carefully chosen pillow will improve sleep quality by reducing neck strain, providing support and bring more comfort while sleeping(1). Shape and Size – Specifically for back sleepers the shape is very important for correct support of the neck while allowing the head to rest near the same level as the back. Pillow-makers will offer similar sizing as what you find in conventional pillows and I have found a close translation, which means whichever size you normally buy will be about the same for a pillow designed for a back sleeper. Pricing – The old adage, “you get what you pay for” holds true when it comes to picking the right pillow. Fortunately, the demand is high enough for an effective, quality product that prices reasonably. In fact, I recommend avoiding the cheap options, there just not worth it. Non-allergenic 100% virgin polyester fiber fill. Cover 50/50 cotton/polyester blend. The trapezoid-shaped center cradles the head and allows the built-in neck roll to firmly support the neck. The Tri-Core standard size fits a standard pillowcase and the midsize and petite will leave some extra room. If you are allergic to polyester, this may not work for you. Other than that Tri-core is a leader in the pillow industry since 1988. This is why it’s my #1 pick. Two different width neck rolls on top and bottom provide a custom fit for different sized sleepers. The generous side lobes are taller for side sleeping, and help support the neck. Blended cotton cover is breathable and soft to the touch. TriCore Pillows come from Core Products International and is widely recognized as “best in class” for cervical support and comfort. 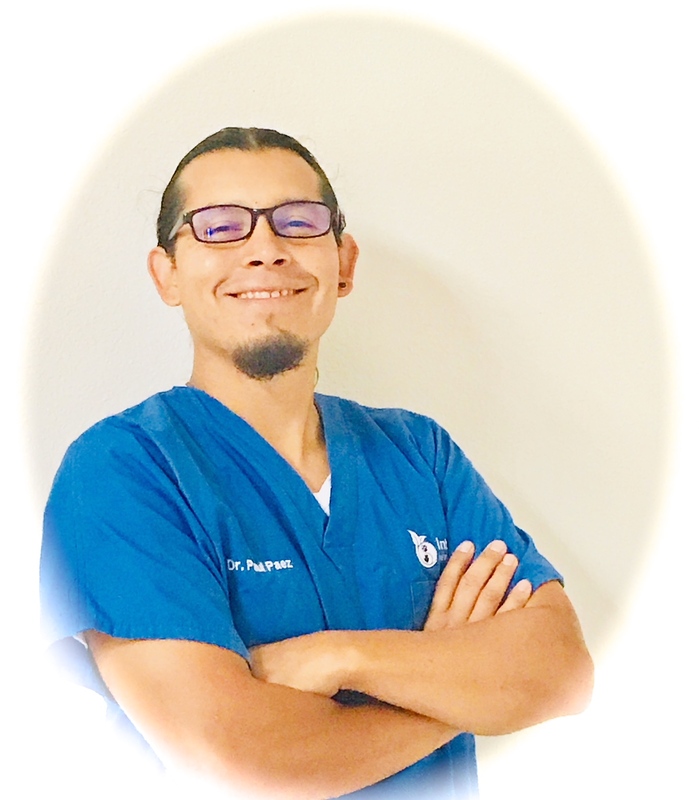 A neck pain sufferer and his doctor teamed up and designed the first TriCore pillows which are perfect for back sleepers. It meets all of the criteria for the ideal pillow receiving four thumbs up. 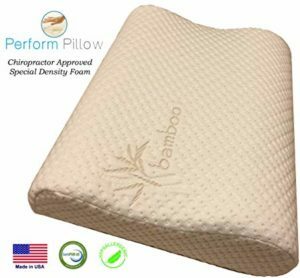 This is a great pillow designed by a chiropractor with over 20 years experience. With its’ contoured shape and special density foam, it is extremely comfortable, yet offers correct support exactly where you need it. Although it has many of the qualities I look for in a pillow for back sleepers it does lack options in sizing which puts it in a close second place. 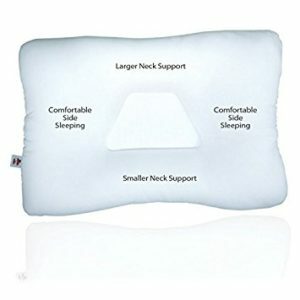 This is a good pillow with an interesting design allowing for support if you switch to side or stomach sleeping. Although lacking in sizing options it does the job. The best sleeping posture is one that puts the body in the most supportive and relaxed position. Typically the more supportive sleep posture, the better quality sleep you will have. I find the back sleeper with the right pillow set up will give you the most support and still keep you in a natural relaxed body position.